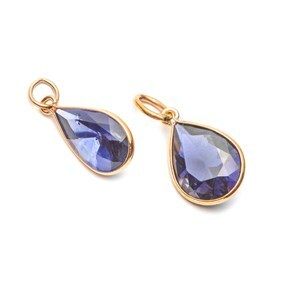 Iolite, known as the vision stone and 'the water sapphire' is such a beautiful stone. Explore this magnificent violet gemstone and find cabochons, faceted stones and beads below for your handmade jewellery designs. 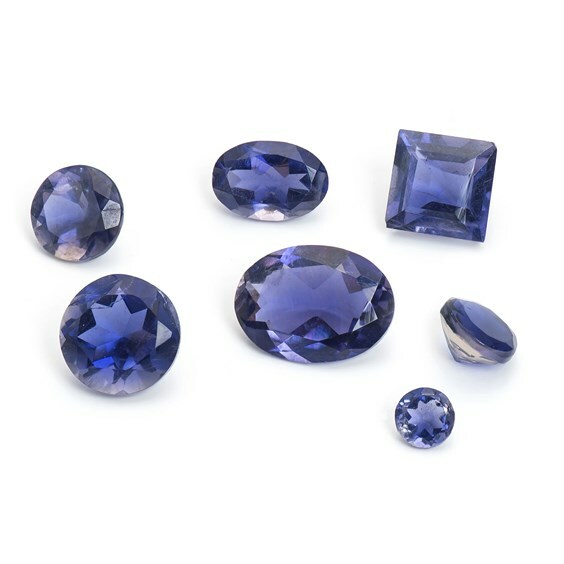 The gemstone iolite has been called the water sapphire because of its similarity to blue sapphire when cut. 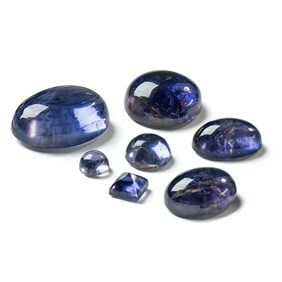 Iolite's name also comes from the Greek word ios, meaning violet. The stone is found in alluvial deposits as small, transparent, waterworn pebbles. Iolite has a unique violet colour which is caused by the presence of iron in the structure. 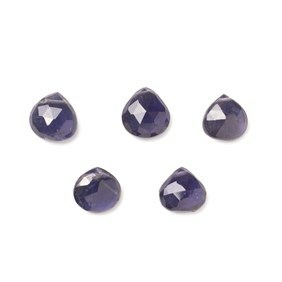 Iolite has a Mohs hardness rating of 7. It is sourced from the United States and can also be found in Sri Lanka, Burma and India. 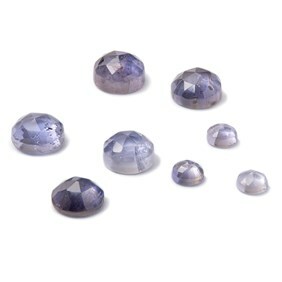 At Kernowcraft, we have a wonderful supply of iolite gemstones including faceted stones in a range of shapes such as round, square, oval, marquise and octagon. 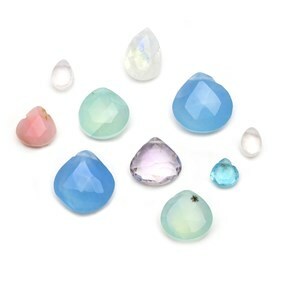 Our rose cut cabochons are also popular, not to mention our iolite cabochons in round, oval and square. 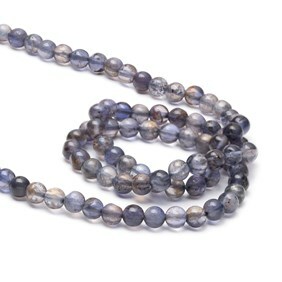 Our iolite beads come in a range of variations such as iolite briolettes, iolite rondelle beads and iolite round beads. 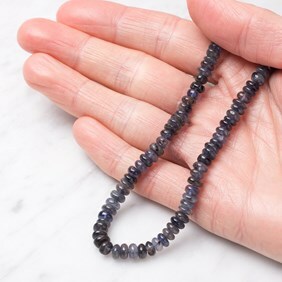 Iolite is said to be the vision stone, with properties linked to it such as facilitating visualisation and intuitive insight. Psychologically Iolite is thought to aid understanding as well as helping you to express your true self.